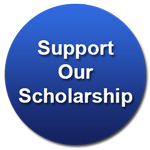 All donations towards DC Illini scholarships are tax deductable and qualify for University gift credit! You will be directed to a link within the University of Illinois Foundation. To donate by check, please mail your check to the address below. *Be sure to note in the memo line of the check that your donation goes towards the DC Illini's scholarships. Thank you for supporting the DC Illini scholarship program!